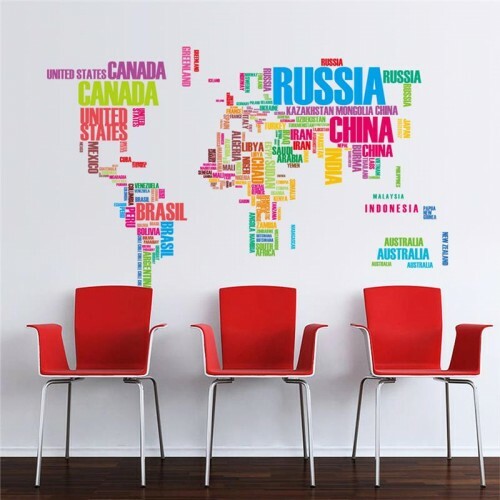 Here at Wall Decals, we offer an impressive selection of wall sticker designs that are perfect for complimenting any room in the home or any choice of décor. 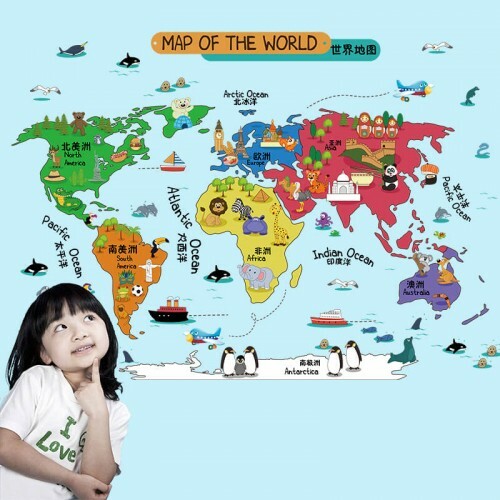 Our amazing map wall stickers are ideal for transforming a classroom, playgroup or child’s bedroom. They serve an incredible educational purpose but also allow you to decorate a room with minimal effort and at an affordable price. 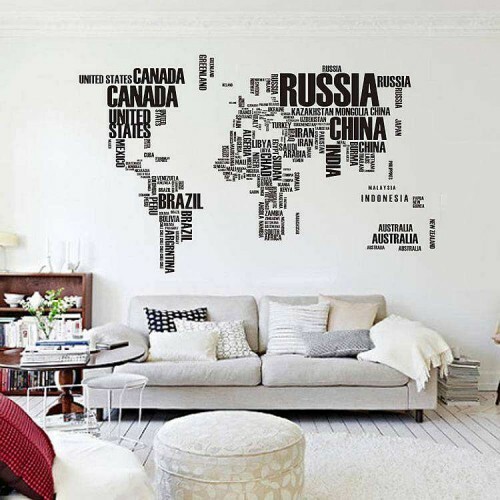 All of our wall decals are easy to apply and can also be removed and reapplied if for any reason, you decide to move it to a different wall. 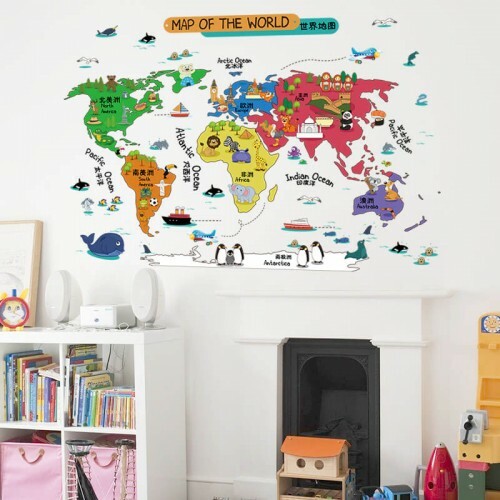 Map wall decals are great for visually teaching your little one basic geography skills and they also make learning instantly more interesting and fun. 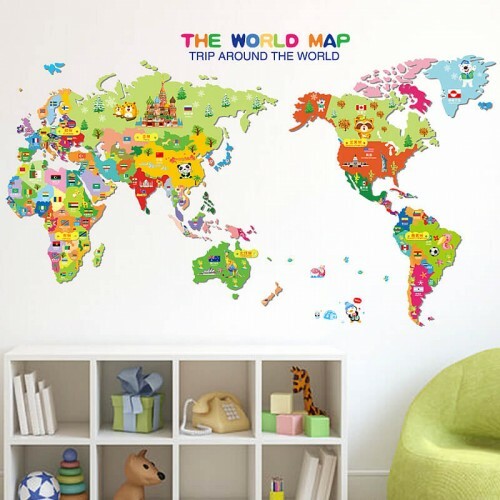 We offer safari-themed map wall stickers, as well as colourful text world map stickers – whatever map design you require, we’re confident we have something to suit your needs! If there isn’t a map design that you fancy – not to worry as we also provide a custom design service for a more personalised finish. 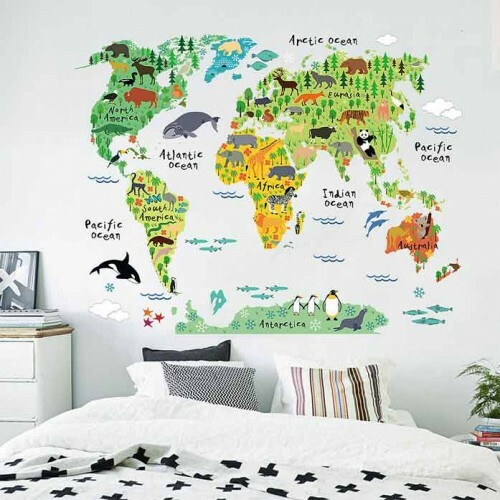 All you need to do is send us a picture of the design you would like, and our expert design team will work to turn this design into a customised wall decal. We will also send you across an image of the design to give you a clear idea of how it will look once completed, and we won’t take any payment until you are 100% happy with the sticker! 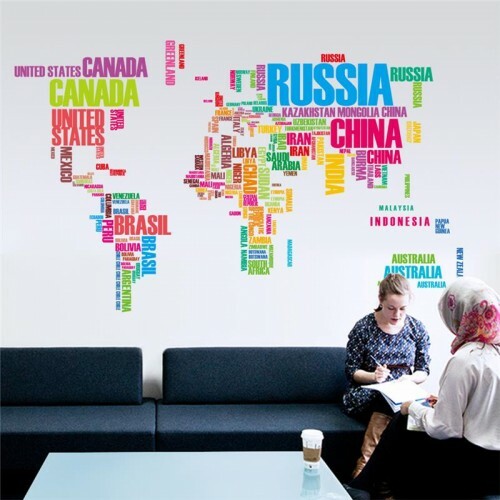 Our super quick delivery ensures your wall decal is with you as soon as possible. All UK orders placed before 3pm Monday to Friday will be dispatched the same day, and any order placed in Ireland can be delivered on the next working day. 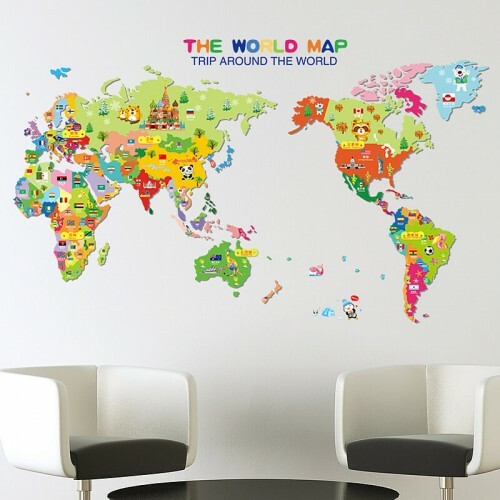 To find out more about out map wall decals or our custom design service, please get in touch now – we would be happy to help you!